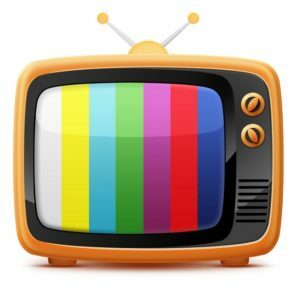 This PSA, I break down three of my favorite nostalgia-driven reboots—why they work, why they don’t, why I love them—and in a future PSA, three other shows that I hope to see return someday. For me, this was the one that started it all and it could not be more perfect. Boy Meets World is my all-time favorite show. I can quote entire episodes backwards, especially in the later seasons. The news sounded too good to be true—an entirely new show focused on Cory and Topanga’s coming of age daughter? Pinch me! The show is now in its third season and Riley and her friends have just started high school. Is it as good as its predecessor? Well, no. But it is very cute and I do love watching it, regardless of the fact that it airs on The Disney Channel and is aimed at pre-teens and I am in my pre-30s. Why it works: They picked some really great young actors who mesh well and keep the humor going. They regularly bring back BMW alums—Eric, Jack, Angela, Minkus, even Harley have all appeared. And of course, a one Mr. George Feeny has been featured a small number of times and each one was a kick in the heart. They’ve also tackled some tougher topics, something the creator/producer (same one) is known for. Why it doesn’t: To me, something is just off about Danielle Fishel. She didn’t step back into her role of Topanga quite as seamlessly and even though the show is supposed to be about the kids, I wish it spent just a little more time filling in the gaps between BMW and GMW where Cory and Topanga as a couple are concerned. It also veers a little too closely to the safe-and-silly sometimes, but that’s to be expected of a Disney show. Why I love it: Ben Savage, distracting nose job aside, is still so perfectly Cory that it makes me squeal with joy at least once an episode, from his quirky facial expressions to standby catchphrases. 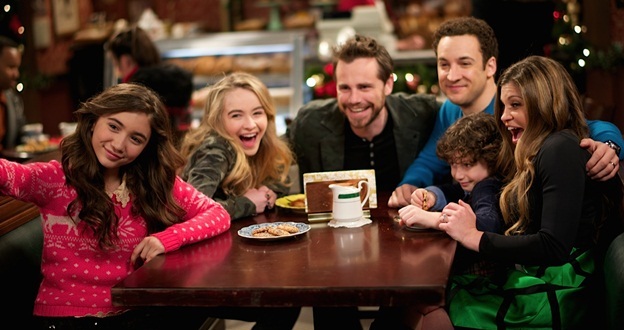 And when Rider Strong reappeared as Shawn (below) in season one’s holiday episode, I cried. No exaggeration. The boys were back in town. I was a little less than thrilled when I got the news about this one. Don’t get me wrong, I loved Full House as a kid. It was my first favorite TV show behind Sesame Street and Fraggle Rock. What ‘90s kid didn’t wish they had their very own Uncle Jesse? I just remembered how utterly corny the show had been and I didn’t see how they could rectify that with a storyline that didn’t seem all that inventive. Fuller House (good one) follows D.J. Fuller (ohhhh) as she moves into her father’s house a year after losing her husband. And she has three boys to raise. Sound familiar yet? The first season’s release on Netflix was absolutely torn apart in reviews, so I went into it not expecting much. In fact, I went into it expecting to hate it. Here’s the thing though—I kind of didn’t. Why it works: Same set—some cynics may find fault with that, but I loved seeing how they updated the house to modern times; it still feels like home. It pokes fun at itself—there were some very meta jokes throughout, from throwing shade at the noticeably absent Olsens to Jesse asking if anyone else heard violin music during a touching scene; it got brownie points for being so self-aware. Why it doesn’t: These girls weren’t the most phenomenal actors as kids and they don’t seem to have gotten any better with age. Candace was especially cringe-worthy. Some plotlines were predictably trite. Why I like it: Notice I didn’t say love. For the same reasons I’m fond of Girl Meets World, I liked seeing the old familiar faces pop up. And whereas GMW focuses on the girl, Fuller House gives equal screen time to the kids and the moms. I must admit, Scott Weinger saves the show from itself on more than one occasion. His return as Steve, divorced and desperately trying to woo D.J. and continue their love story, is humorous and heartfelt (though at times a little intense). I. Cannot. Wait. Gilmore Girls ranks very high on my list of all-time favorite shows and news of a Netflix revival made the internet implode. There’s really no way to rank or review it yet, as filming just wrapped and a release date has yet to be announced, but I may be slightly more excited for this than I was for Girl Meets World. This is the first reboot that won’t be aimed at kids or a new generation of viewers. The characters are the same, the audience is the same, and we get not one, not two, but FOUR mini-movies documenting a year in the life of our girls (one for each season). 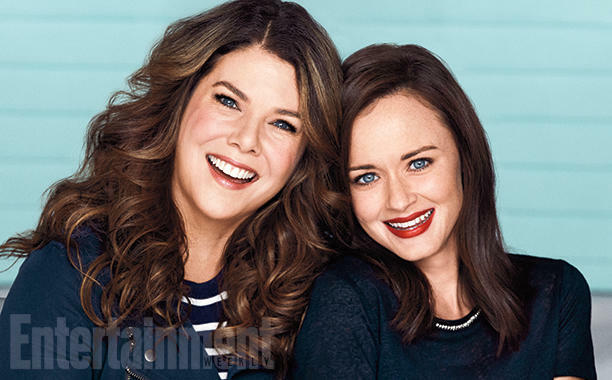 Practically the entire cast is returning, including all three of Rory’s ex-boyfriends and comedy superstar Melissa McCarthy as Lorelai’s BFF. Edward Herrmann passed in late 2014, something they are sure to touch on at some point. There are no details, only questions … Are Luke and Lorelai married yet? What’s Rory doing? Are Emily and Lorelai still butting heads? Does Stars Hollow look any different? Is Paris a doctor or a lawyer? (Does she work for Annalise Keating?) Did Lane and Zack have more kids? Where does Kirk work now? Rumor has it we only have to wait until the holiday season this year to start getting some answers. I’m beyond ready. This entry was posted in TV and tagged a year in the life, boy meets world, disney channel, Full House, fuller house, gilmore girls, girl meets world, netflix, reboot, revival, sequel, tv show. Bookmark the permalink.